Actavis PLC and Medicines360, a nonprofit women's health pharmaceutical company, announced that the US Food and Drug Administration (FDA) has granted approval of Liletta (levonorgestrel-releasing intrauterine system), an intrauterine device (IUD) providing up to 3 years of safe and effective contraception. Liletta is a small (32 mm x 32 mm) flexible plastic T-shaped system that works by continuously releasing levonorgestrel, a progestin, thus preventing pregnancy. Liletta can be inserted at any time if the health care provider is reasonably certain that the woman is not pregnant. The approval was based on results from the largest US hormonal IUD trial, A Comprehensive Contraceptive Efficacy & Safety Study of an IUS (ACCESS IUS). Researchers enrolled 1,751 women aged 16-45 to receive Liletta. Analysis of study data indicated that of women who discontinued the study early, 97% returned to menses within 3 months after Liletta was removed. Also, in a group of women trying to conceive, 87% became pregnant within one year of removal. Additionally, some women were able to conceive as soon as 2 weeks after removal (12 days). Approximately 19% of women treated with Liletta experienced amenorrhea within one year of treatment and more than one third experienced amenorrhea by the third year of treatment. The incidence of ectopic pregnancy, which excluded women with a history of ectopic pregnancy who did not have a subsequent intrauterine pregnancy, was nearly 0.12%/ 100 woman-years. It’s important to note IUDs have been associated with an increased risk of PID, and furthermore Liletta does not protect against STIs, including HIV. 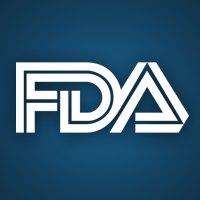 "The FDA's approval of Liletta marks an important milestone for women, providers, and the reproductive health community. Liletta was designed from the beginning to be accessible by women, regardless of socioeconomic status," said Pamela Weir, Chief Operating Officer, Medicines360. "In the past, many barriers including expensive upfront costs or lack of insurance coverage have prevented women from obtaining IUDs." Actavis and Medicines360's partnership will provide women across all financial demographics access to this novel contraceptive option. Through the collaboration, Liletta will be available in the US commercially and at a lower cost to public health clinics enrolled in the 340B Drug Pricing Program. Additionally, David L. Eisenberg, MD, assistant professor of obstetrics and gynecology, Washington University, and the study’s lead author, commented, "This new hormonal IUD was proven more than 99% effective in the largest ever IUD trial conducted in the US. It offers a long-term, highly effective yet reversible option to prevent pregnancy for many women regardless of whether or not they've had a child before. This long-acting reversible contraceptive is a desirable option for women looking to prevent pregnancy." Aimee Quirk: What is innovationOchsner?